The new anti-hazing legislation would make the most harsh forms of hazing a felony. The law is named after former Penn State student Timothy Piazza. The 19-year-old died in February 2017 after a series of falls at a frat. Gov. Tom Wolf said he plans to sign the legislation. 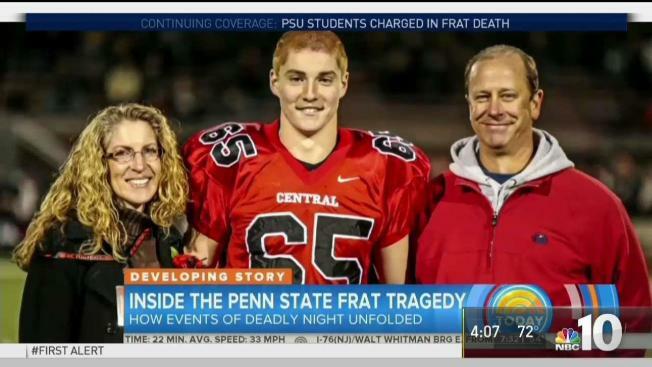 Stricter criminal penalties for hazing will soon become Pennsylvania law under legislation inspired by the death of a Penn State student that cleared its final hurdle Monday. The Senate voted unanimously for a bill named for fraternity pledge Timothy Piazza who consumed a dangerous amount of alcohol and suffered a series of lethal falls at a party nearly two years ago. Piazza, 19, was a sophomore engineering student from Lebanon, New Jersey. He died in February 2017 after a night of drinking and hazing after a bid acceptance ceremony at the now-closed Beta Theta Pi house.